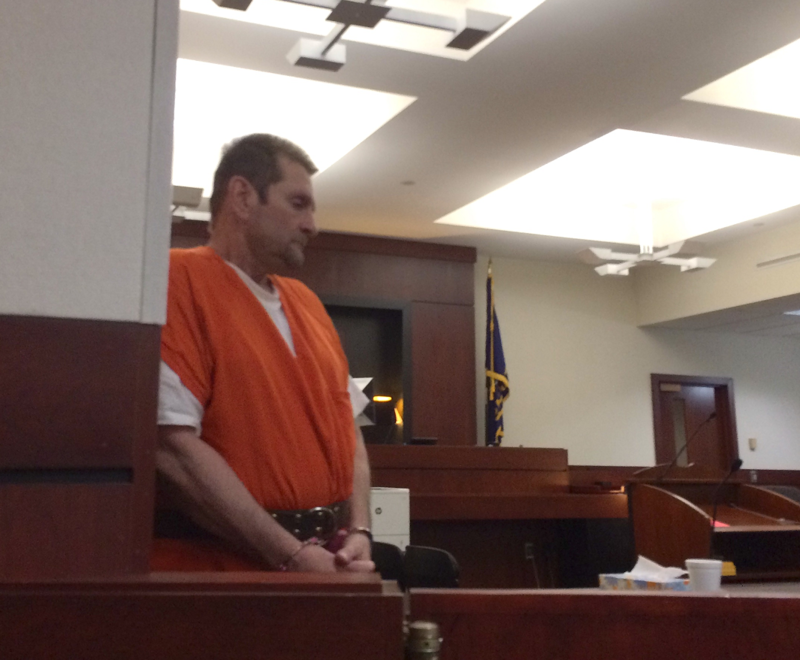 Adam Purinton appeared in the Johnson County District Court on Tuesday, where he pleaded guilty for murder and attempted murder. Adam Purinton has pleaded guilty to the February 2017 murder of Srinivas Kuchibhotla and the attempted murder of Alok Madasani and Ian Grillot. In November 2017, Purinton waived his right to a preliminary hearing and pleaded not guilty. In Johnson County District Court on Tuesday, Purinton, 52, reversed that plea and agreed to the maximum sentence for each of three counts: one count of premeditated first degree murder, and two counts of attempted murder in the first degree. Before allowing Purinton's plea, Judge Charles Droege explained to Purinton that changing his plea meant he would face life in prison, as well as a minimum of 146 months, maximum of 653 months in prison for attempted murder, not to mention the sentence he'll face if convicted of a hate crime in federal court. Purinton told the judge he understood, then he sat down as the State presented the details of the incident last February. As Purinton took a drink of water, his attorney placed a hand on his back and whispered, "Are you OK?" Purinton nodded. Purinton's actions at Austin's Bar and Grill in Olathe earned national attention. He approached Kuchibhotla and Madasani, who were sitting on the patio, and asked them, "Where are you from? How did you get into this country?" He was escorted from the bar but soon returned with a Taurus 9mm handgun. He fired at least eight shots at the two men, hitting Kuchibhotla several times and hitting Madasani in the thigh. When he attempted to flee, Grillot, a bystander, followed him. Purinton then turned around and shot Grillot before driving away. Sentencing is scheduled for May 4. Purinton has also been charged in federal court with a hate crime. Federal authorities allege that Purinton targeted Kuchibhotla and Madasani, both from India, because of their race, ethnicity or national origin. In a filing from February 2, the court gave U.S. Attorney General Jeff Sessions another 90 days to decide whether to seek the death penalty against Purinton. Kuchibhotla's wife, Sunayana Dumala, was traveling during the hearing, but provided a written statement. "Today's guilty verdict in the murder of my husband will not bring back my Srinu, but it will send a strong message that hate is never acceptable," she said. "We must understand and love one another." Dumala has organized a "peace walk" for Friday, March 9, Kuchibhotla's birthday, to honor his memory. Participants will walk from the Garmin campus, where Kuchibhotla worked, to Austin's Bar. Andrea Tudhope is a reporter for KCUR 89.3. Email her at andreat@kcur.org. The man accused of a hate crime killing at an Olathe bar last year may be headed for a possible plea deal. Adam Purinton, 52, is charged with killing Srinivas Kuchibhotla in Austin’s Bar and Grill last February. Purinton is also accused of shooting two others, Alok Madasani, a co-worker of Kuchibhotla at Garmin and Ian Grillot, who chased Purinton after he fled the bar. According to online court records, a plea hearing has been set for March 6 at 1:30 p.m..
Purinton has already pleaded not guilty so a new hearing could mean he is changing his plea to guilty.